A cornerstone of analytical chemistry, tandem quadrupole LC-MS/MS diagnoses more disease, quantifies more pesticides and tests for more drugs-of-abuse than perhaps any other analytical technique. 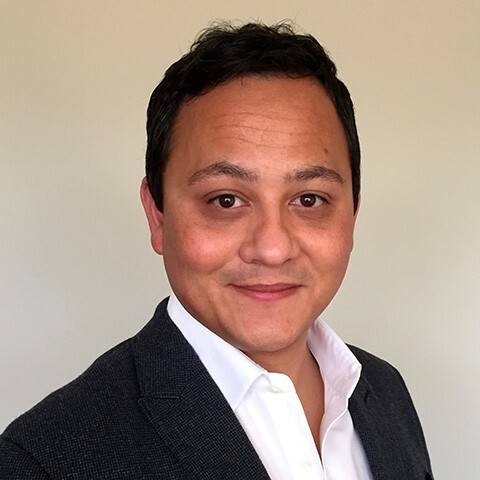 With industry analysts estimating almost 4,000 tandem quadrupole LC-MS/MS systems sold globally per year with global revenues of $1.4B, it is big business. For those new to mass spectrometry: A tandem quadrupole mass spectrometer consists of two quadrupole mass analyzers in series, with a non-mass-resolving (radio frequency only) quadrupole between them to act as a cell for collision-induced dissociation of ions. OK, so technically that’s three quadrupoles, hence commonly the terms ‘triple quads’ or ‘QQQ’ are used interchangeably with ‘tandem quadrupole’. I hear both frequently and it’s potatoes/potatas, or perhaps as they say in Dublin, ‘taytos’. Still, I’m sure IUPAC purists will no doubt be cringing at one or the other. So, How Did Tandem Quadrupole LC-MS/MS Get To Where It Is Today? In 1967, Robert Emmet Finnigan, an entrepreneurial scientist with a successful history of developing gas chromatography systems formed the Finnigan Instrument Corporation. In early 1968, Finnigan delivered its first quadrupole GC/MS instrument and the company went from strength to strength throughout the 1970s as it dominated the ballooning global GC-MS market. In 1973, collision-activated dissociation was developed by Fred McLafferty and co-workers[i]. This gave way to enormous research interest into ion fragmentation mechanisms and the study of organic molecules. In 1978, this in turn enabled the introduction of the tandem quadrupole mass spectrometer forty years ago by Yost and Enke[ii]. The achievement led them to later receive the Distinguished Contribution Award from the American Society of Mass Spectrometry. Around the same time my parents were welcoming their third child. A child who some forty years later would go on to write this blog post. I’m not laying claim to any of the science. Nonetheless, I’m sure we can agree without this crucial step you would not be reading this blog. In 1979, Finnigan, encouraged by two consultant academics – R. Graham Cooks (Purdue University) and Donald F. Hunt (Virginia State) – immediately began to develop commercial versions of the tandem quadrupole instrument[iii]. The development team was motivated by its possibilities in the application of protein sequencing. When Finnigan delivered commercial triple quadrupoles, the first three instruments went to Cooks, Hunt, and Yost. Throughout the 1970s German company MAT (Mess- und Analysen-Technik) had developed a successful business selling magnetic sector mass spectrometers. They also had developed manufacturing expertise for robust and accurate hyperbolic quadrupole technology. MAT began to sell quadrupole-based GC-MS systems which threatened Finnigan’s dominance of the market. So, in 1981 Finnigan merged with MAT to form Finnigan MAT[iv]. Soon after the merger a fruitful technical cooperation between the Finnigan site in San Jose, California and MAT site in Bremen, Germany was established. Finnigan’s top-of-the-line mass spectrometers were equipped with hyperbolic rod systems from Bremen. This drove additional commercial success into the 1980s, and still does to this very day. At the same time Finnigan commercialized a moving belt LC-MS interface, which could produce electron ionization (EI) mass spectra via LC-MS. This ignited interest in LC-MS.
A prototype LC-MS/MS system was prepared by Finnigan. However, moving belt ions generated by EI were heavily fragmented, and the technique was not considered suitable for MS/MS experiments. Plus, the hardware was extremely temperamental. Moving belt was short lived as an interface technique. It goes into folklore of analytical chemistry as the ruin of many a post-Doc. The first tandem quadrupoles to achieve commercial success came in the late 1980s and early 1990s, once the soft ionization techniques of atmospheric pressure chemical ionization and electrospray ionization became commonplace. In 1990, Finnigan MAT was acquired by Thermo Electron, which in turn purchased Fisher Scientific to become Thermo Fisher Scientific in 2006. At this point Thermo Fisher Scientific was selling several hundred tandem quadrupole systems per year for the testing of ultra-trace target compounds in everything from blood to baby food. In 2018, Thermo Fisher Scientific launched its latest tandem quadrupole LC-MS/MS system, built on forty years of innovation; the Thermo Scientific™ TSQ Fortis™ Triple Quadrupole Mass Spectrometer is designed for applications that demand an optimal blend of speed, robustness and sensitivity for accurate quantification of hundreds of compounds, in any matrix, by users with varying levels of expertise. The TSQ Fortis mass spectrometer gives users a robust instrument that lets them answer more complex questions per sample with increased productivity, data quality, and high confidence in results. It’s great to see that after forty years tandem quadrupole LC-MS/MS systems continue to get smaller, faster, and evermore productive. They show no sign of slowing; unlike myself, sadly. 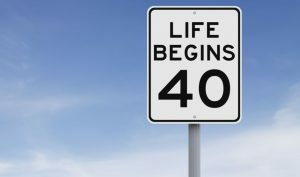 Nonetheless, I’m holding on to the mantra that life begins at 40. How can Triple MS be introduced as a viable replacement for large-volume UV analysis of low concentration formulation assay? Current technique involves outdated equipment, and the volume injected cannot be carried into new equipment offerings. So MS wold be the logical option. But I can't seem to convince anyone to consider developing it.